It's not the best month to be a member of Club Nintendo. The selection of free games and content is running a little dry with only a pair of Game Boy games to lure in newcomers. Maybe it's holding all the good stuff for next month after you register all of your sweet Nintendo Christmas presents, but as it stands now, the weakest Metroid game in the main series is the highlight of this month's bunch. 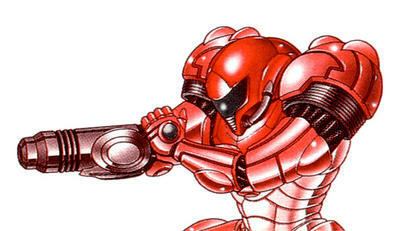 Metroid II: Return of Samus is a weird beast. The original Metroid on the NES was baffling enough for gamers not used to the franchise's open-ended level design, but its black and white sequel takes this to extreme measures. I don't think I'm alone in never beating this game because of how easy it is to get lost in its sprawling, directionless map, and the lack of color makes it especially difficult to navigate different areas. Of course, this is why I picked it up. This is something I from my childhood I've left unresolved and need to conquer before I leave this Earth. Outside of this game, there isn't much else to really get excited over. Gaming Editor Joey Davidson is a fan of the Pilotwings franchise, but I've never been able to get into it. Each game always seems more like a tech demo than a fully fledged game, and I don't need to learn more about the Super Nintendo's Mode-7 at this point in my life. Kirby's Pinball is also up for grabs on the Game Boy, but it's hardly up to the standards you get from something fun like last month's Kirby's Dream Course. The rest of the line-up is made of eShop shovelware. Some might be fun, and some might not. You never know what you're getting with games like these. Is it strange that I would rather gamble with real money on one of these instead of my imaginary Nintendo Coins? If you want my advice, save up for next month. Nintendo might deliver some physical gifts, or it might offer a better selection once everyone has new games to register. I already have Super Smash Bros and Pokemon waiting in my "to-do" list, and Persona Q is soon to follow. Metroid II: Return of Samus is the only thing I can recommend this month, but mostly because it is just a fascinating and unrefined look at one of gaming's most beloved franchises. It's the scariest Metroid game too if that's your thing, but it survives history mostly as the bridge between the weird first Metroid game and its eventual perfection in Super Metroid.